Flint axes were used as lithic cores at Alvastra pile dwelling? The pile dwelling is a site that has left evidence of many interesting cultural activities. One such activity that has become very evident whilst cataloguing the flint material is the destruction and/or re-use of apparently fully functional tools, such as thick and thin-butted axes as cores for the production of smaller tools, flakes and debitage on-site. In all these categories, many examples also show further signs of destruction in the form of burning, which could also be ritualistic in nature. 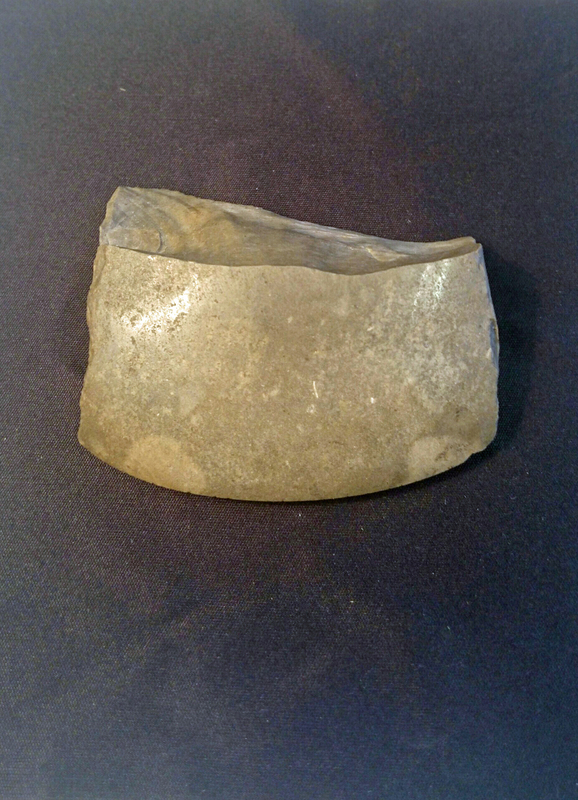 Thin-butted and thick-butted flint axes are common finds at middle Neolithic sites and can be ground and polished on their bits, or even entire surface areas in finely executed examples. Polishing, besides being aesthetically appealing gives a sharper working edge and enables larger finer bits of wood to be removed while felling trees and in further woodworking activities. I have found everything from simple flakes and blades with traces of original polished surfaces, to whole sections of axes with preserved edges that give clues as to their original forms and functions. Some of these are left as flakes and debitage, and others are further worked into tools such as scrapers, knives, burins and drills. 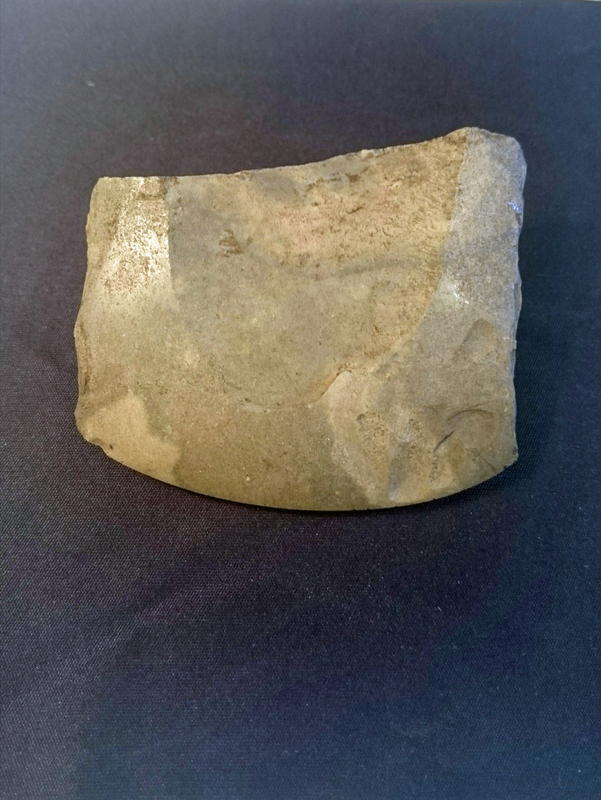 The principal raw material for these objects was apparently finished flint axes, as very few flakes are ever recovered exhibiting any remaining chalk cortex traces from the flint nodules they were sourced from, as is common at mining and principal production sites. In addition, very few “complete” axes have ever been recovered at the site, and those few that have are somewhat atypical in form for their types, and rarely lack any signs of re-flaking. Flint was a valuable commodity that had to be transported or traded to the pile dwelling from other areas, and apparently even fine, completed tools were even seen as sources of raw material for the production of other tools as necessity demanded. Alternatively, axes may also have been destroyed, burnt and/or deposited in ritual activities on-site, as is known practice at other wetland sites during the middle Neolithic.